With 20 years of experience and constantly updated technical knowledge, we understand the need for websites to be fast, efficient and accessible. This helps create an enjoyable user experience and improves search engine rankings. We believe in minimalistic website designs that focus on content. 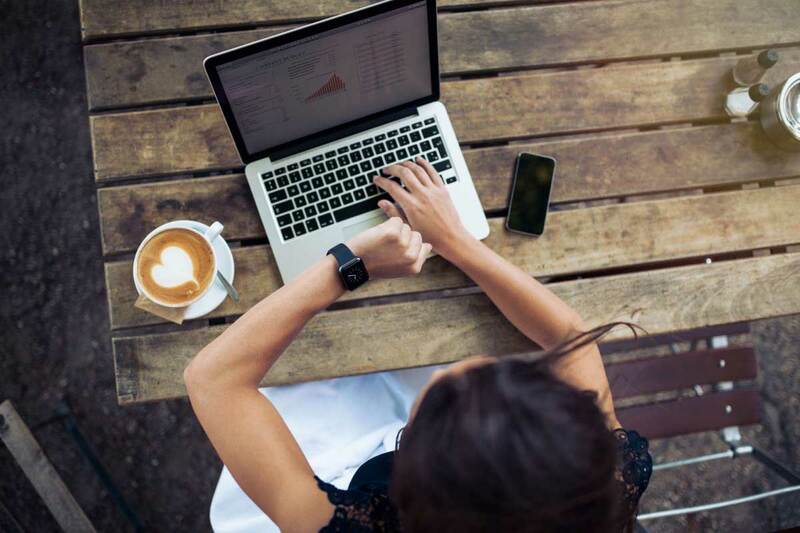 And with the quick growth of mobile users, it is crucial to create a website that works across devices and platforms, optimizing engagement and conversion rates. We use responsive web design technologies, so that your website displays optimally on varied screen sizes including smart phones, tablets, laptops and desktops. Our website development process is efficient, transparent and focuses on results. We are skilled at working with raw code and don't use ready-made systems to create your website. Using technologies like HTML5, CSS3, jQuery, PHP and MySQL, we write performance-optimized code to perfect page load time, so your website loads instantly and is favoured by users and search engines. We also build powerful Content Management Systems (CMS) that allow you to update your website easily and securely, whenever you want. Our CMS is highly scalable and customizable to suit any business. Our most efficient and economical website format. We start with a preset skeleton layout, customizing the theme of the website to match your branding. However, the placement of the various elements of the layout remain fixed. (For custom layouts, see below) The websites we develop are fully responsive, which means that they display well on varied screen sizes including smart phones, tablets, laptops and desktops. We also include basic search engine optimization with all our websites. This includes optimized HTML5 code (no additional junk code, like Wordpress and other ready-systems), microdata (schema markup) where required, optimized filenames, titles, image filenames, alt tags, etc. - all the things that search engines love. The base price includes creation of up to 5 sections / pages. Statistics and analytical scripts like statcounter.com and Google Analytics can be installed on request at no additional charge. If you want something very special and your budget isn't a primary factor, we can create a bespoke website for you, with only a few technical restrictions on the layout. We will first create custom design mockups and then convert these to perfect layouts for varied screen sizes including smart phones, tablets, laptops and desktops. We also include basic search engine optimization with all our websites. This includes optimized HTML5 code (no additional junk code, like Wordpress and other ready-systems), advanced microdata (schema markup) where required, optimized filenames, title tags, image filenames, image compression, alt tags, and other required on-site optimizations; basically, all the things that search engines love. Statistics and analytical scripts - Statcounter and Google Analytics are integrated. Unlimited rooms, rates, packages, bookings, etc. If you need help with creating content, we offer allied services, through our creative partners - including copywriting, logo design and photography. We harness the power of the most reliable technologies, keeping in mind the latest trends in website development. The epitome of minimalism. 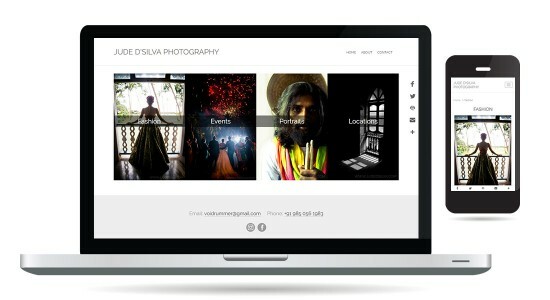 I love this website we did for Jude D'Silva, a fashion and event photographer; and an old friend. The idea was a simple website that focuses on the stunning images he creates. 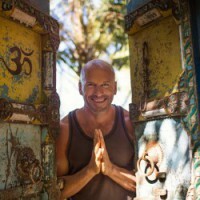 We have been working with Chris and Ashiyana Yoga Centre since 2005. This is the third revision of the website over the years, always keeping up-to-date with the latest technologies, for maximum reach and an optimal user-experience. This site is ranked high on Google and other search engines and receives over 50% of its traffic through organic searches. This revision of the website is responsive, has a custom blog and a custom-developed Content Management System to manage all the content on their website. We met the owners of Lila Cafe through a mutual friend and first developed their website in 2004. 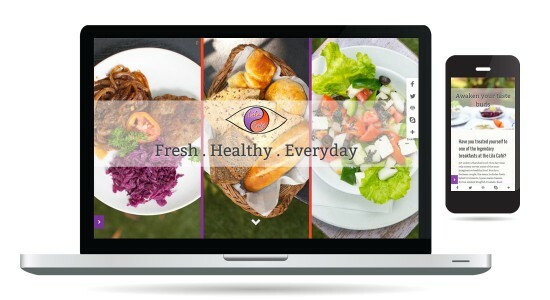 We recently re-developed their website to be responsive and focus on their delicious food. Yes, we shot the food ourselves. Erika first approached us in 2010, to take over management of the website of her guest house - Avalon Inn. Since then, we have slowly upgraded various components of the website. In late 2015, we converted it to a responsive website, reflecting the peaceful, friendly ambience of this guesthouse. The Genius has over 1200 children attending its fun sessions across 3 branches in Indore. With an aim to expand as well as provide regular updates, they wanted to create a website to highlight their programmes and achievements. We developed a responsive site, with focus on the content and a custom blog to push updates. 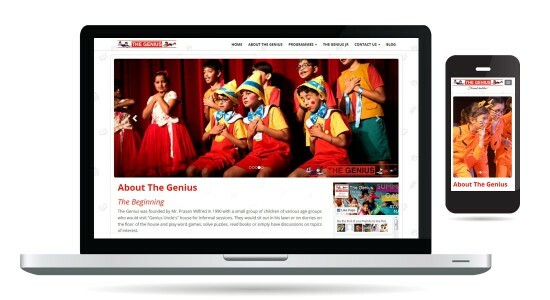 We also developed a custom CMS for them to update all the content on their website. The Holiday Scout specializes in customized tours to North East India, showcasing it's rich and dynamic culture. We revamped their existing website with a fresh new look, and loads of valuable information, along with the list of tours they offer. We also developed a custom blog and CMS to update all the content on their website. Paradise Cruises has been operating evening cruises on the Mandovi river since 1986. 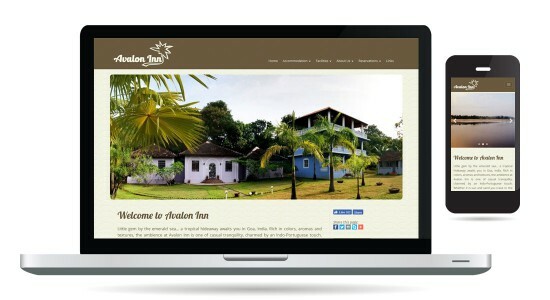 Recently, we developed their website in a responsive layout, highlighting the vibrance of Goa's sun and sea. They also have a custom CMS to update all their content. Paradise Cruises hosts private boat parties on the Mandovi river and we developed a responsive website for this unique service, showcasing the fun and entertainment of private parties on a boat! We also created a custom CMS for them to update all their content. 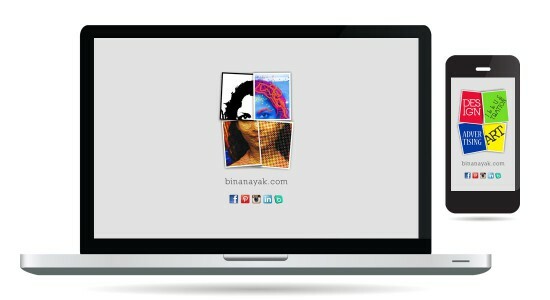 We recently re-developed Bina's website in a responsive format, based on her design. The website focuses on her commercial design work as well as her art and illustrations. 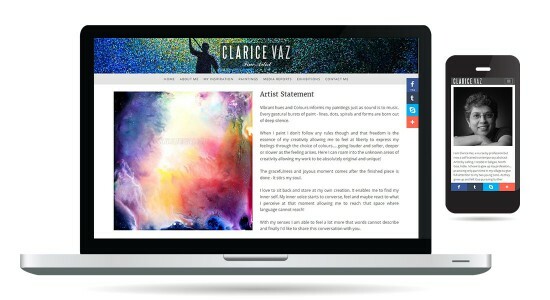 We provided her with a custom blog and a custom CMS to manage all the content on her website. Clarice Vaz is a self trained contemporary abstract Artist from Saligao. She paints landscapes using her own unique style of syring painting. We helped her showcase her work to potential clients around the world, using a clean, minimalistic website, that focuses on her beautiful paintings. “ I have been working with Warren and the rest of the team since 2005 and I can honestly say that it has been a delight, extremely fruitful, and wonderfully fulfilling. I frequently recommend them to my friends all over the world! Thanks guys!